Patanjali Honey Orange Face Wash offers a perfect blend of natural herbal ingredients including Neem, Tulsi, and Haldi together with honey. It works great as a deep cleansing gel and is especially suited for the people having an oily or sensitive skin. It is also recommended for the people prone to develop acne. This Patanjali face wash helps to remove impurities in the superficial and deeper layers of the skin and prevents acne. It also adds a tinge of freshness to the face and makes the skin soft, and glowing. 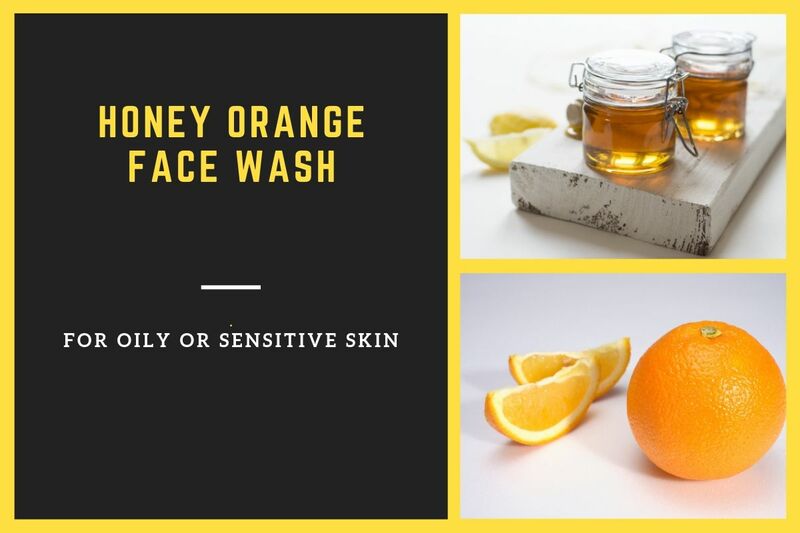 Patanjali Honey Orange Face Wash can be used for the treatment of acne. The herbs present in this Patanjali face wash such as Haldi, and Aloe Vera produces an antibacterial action and help to destroy the bacteria that can worsen acne. Mulethi present in this patanjali face wash acts as a whitening agent and reduces the appearance of acne scars. Patanjali Honey Orange Face Wash also contains honey, which soothes the irritated skin and prevents the acne breakouts in future. Hence, it can also be used by the men and women having sensitive skin. This face wash also controls the oil production in the sebaceous glands under the skin. This helps to reduce the acne development caused as a result of the blockages in the ducts of these glands due to excessive oil and dirt trapped in them. The skin is exposed to various toxins present in the environment. The use of chemical-based cosmetic products can also worsen the health of the skin by causing a long-term damage to the healthy cells. Patanjali Orange Honey Face Wash can help to reverse this damage and restore the skin health by producing a deep cleansing effect. It stimulates the elimination of toxins, pollutants, and chemicals from the layers of the skin and leaves it appearing naturally vibrant. The powerful herbal ingredients in Patanjali Honey Orange Face Wash help to prevent the signs of aging such as wrinkles, and fine lines. It contains Neem that detoxifies the blood and restores the youthful glow on the skin. It also acts as a skin whitening agent and reduces age spots. Patanjali Orange Honey Face Wash can also be used to treat melasma. The herbs present in it such as Aloe Vera and Turmeric possess anti-tan properties, which help to treat dark patches on the skin caused due to melasma. It is a type of hyperpigmentation of the skin that occurs due to the excessive production of melanin resulting in the appearance of dark patch along the cheeks and the bridge of the nose. It affects about 90% of pregnant women and is believed to occur as a result of the hormonal changes occurring in the body during this phase. Patanjali Honey Orange Face Wash acts as a skin lightening agent and treats these hyperpigmented patches. It works by causing the inhibition of a process called Melanogenesis thereby reducing the production of melanin. Apply Patanjali Honey Orange Face Wash on a wet face, and massage gently for 1 minute with a small amount of water and then, wash off with plain water.